Built 1995 by Koninklijke Scheldgroep BV., Vlissingen, The Netherlands as a Ro-ro (Roll on-roll off ) ferry for Commodore Shipping Ltd., Jersey and named Island Commodore. Sold to Global Marine Systems Ltd. in 1999 for conversion into a cable ship. 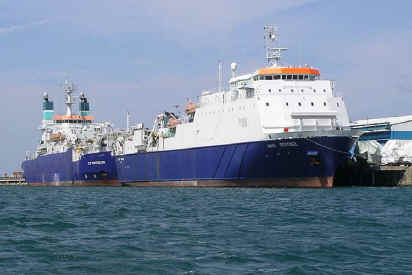 The work was carried out on Teesside and completed in February 2000 when the vessel was renamed Wave Sentinel.